Time for holiday shopping, and I’ve got a suggestion. My book! 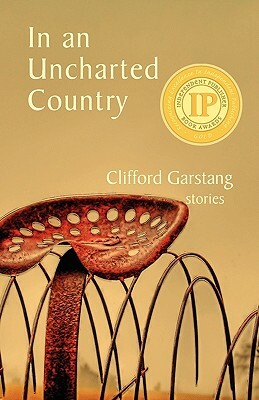 In an Uncharted Country is a collection of short stories that in some ways reads like a novel; the stories are all set in the same small town, themes resonate from story to story, and the characters overlap and reappear. It’s a pretty good book, if I say so myself. Some terrific writers like Tim O’Brien, Elizabeth Strout, and Peter Ho Davies had some very nice things to say about the book, and you can read their comments: here. The book also picked up some very nice reviews, which you can read here, here, and here. Two of the stories actually take place at Christmas, so it’s a wonderful read for this time of year. You can get a signed copy from my website or from most of the independent bookstores in and around Staunton, VA. Or you can ask your local bookstore to order it. You can also get it through Indiebound or directly from the publisher, Press 53. And if you’re a Kindle owner, or want to give a gift to someone who is, you can buy the Kindle Edition. I've just finished. It wasn't until about halfway through the collection that I realised all stories were set in the same town/county, with the same characters interspersed throughout the stories, which gave each story a lovely added depth and complexity.